Some of the materials that you need came in a resealable bag that's made out of paper with plastic lining the inside. 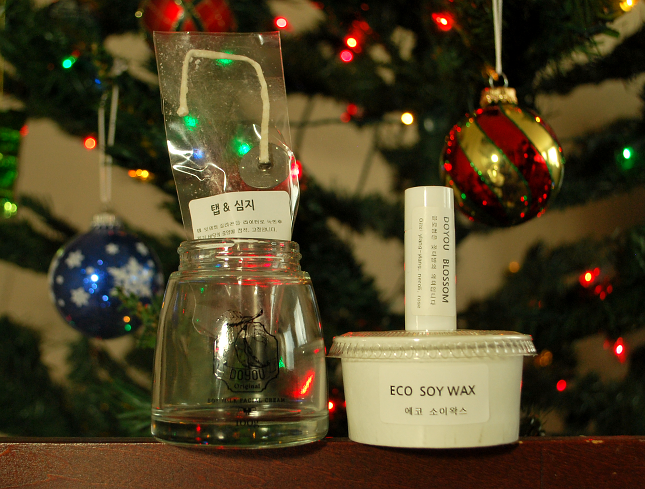 And tadah~ Here are the things you'll need to make your own soy candle: soy wax, a jar, a candle wick, and essential oil. 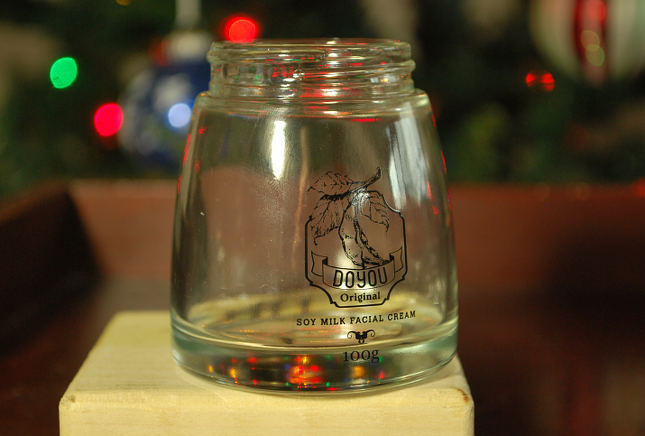 The glass jar is actually an empty DoYou Cream jar. I'll be posting a review of the cream sometime later this week! 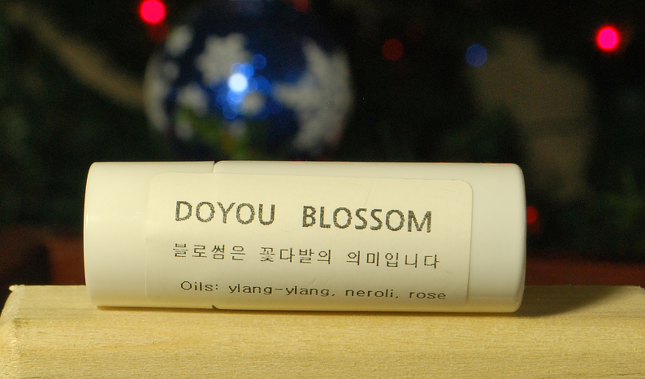 The essential oil contains ylang-ylang, neroli, and rose. I don't really know what ylang-ylang and neroli are supposed to smell like, but the rose scent is very faint in this one. 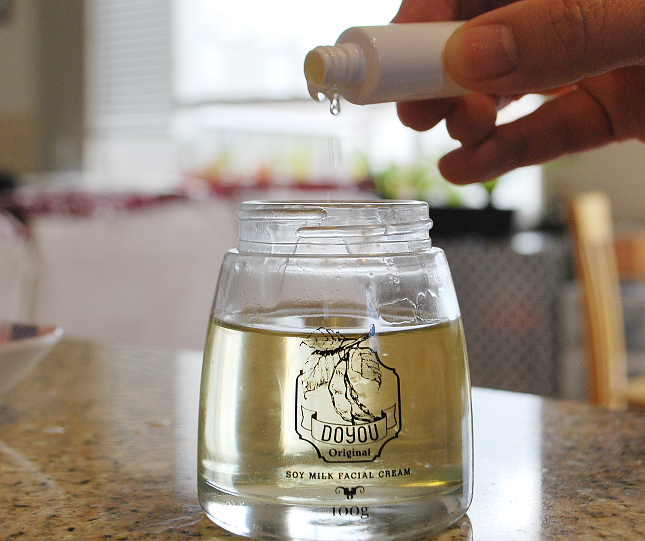 The essential oil is what will give your candle its fragrance. To be honest I don't like the scent very much, it's too strong in my opinion. However that's probably just me because I know a lot of people who love this kind of scent. 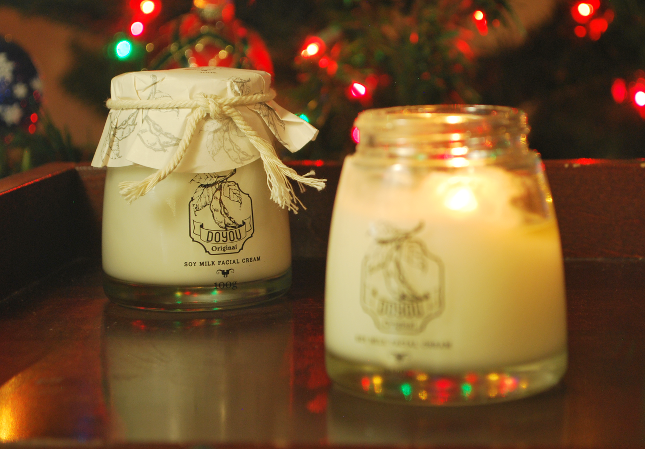 So now that you have everything you need to make your own candle, here's how you do it! Begin by adding 100ml of water to a small pot and placing the empty Do You Cream jar into the pot, Place the pot onto a stove top and start warming up the water along with the bottle. 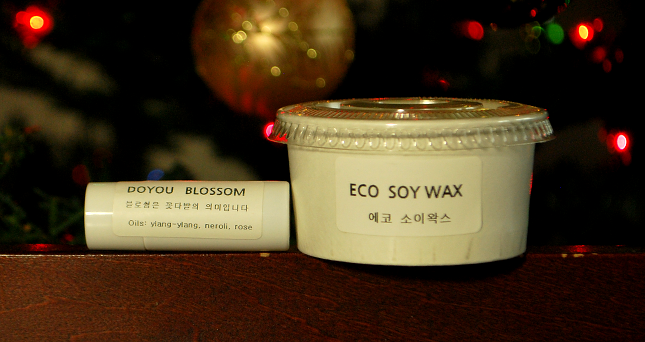 While everything is heating up, prepare the wax by cutting into pieces small enough to fit into the jar. Place the wax into the jar after it's warmed up. After awhile the wax should start melting. I was using a chopstick here to stir the wax to make it melt it little quicker. After the wax has melted completely, remove it from the heat and allow it to cool slightly. 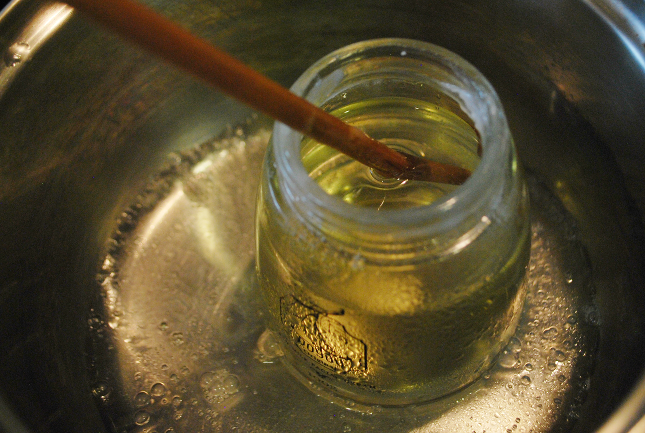 Then pour in the essential oil (if you want, or you can make it an unscented candle!) and mix it in. Thanks Mom for helping me pour in the oil while I was taking pictures! Here was when things started getting a little bit messy. Er... make that a lot. Take the wick and use something (in my case I used a chopstick) to push the metal part down until it sits at the bottom of the jar. 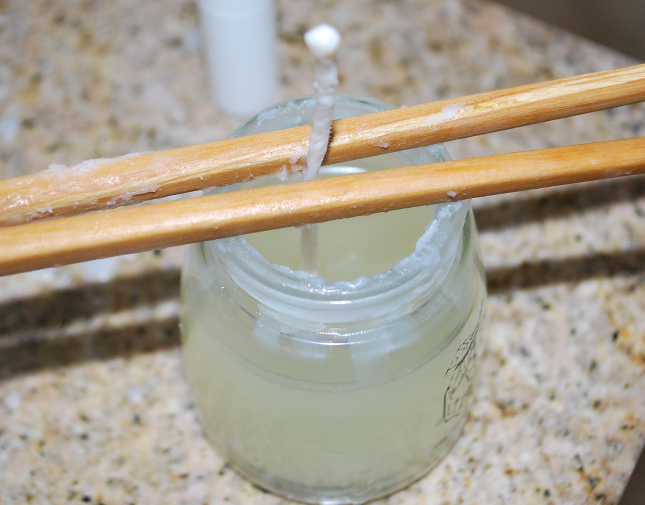 Then use two chopsticks to prop up the wick and keep it in the center. 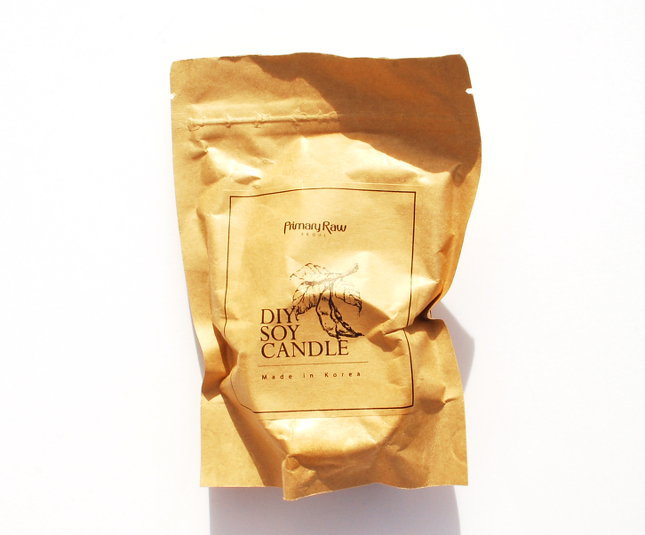 Now all you need to do is light your new candle! 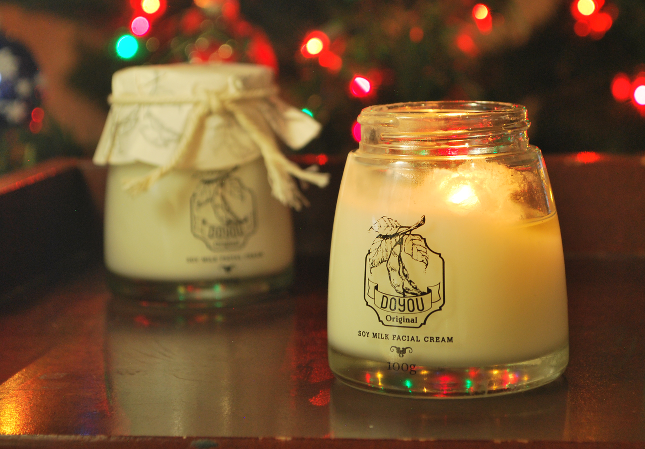 Doesn't it look like the actual Do You Cream (in the back)? I just can't get over how adorable the packaging is! 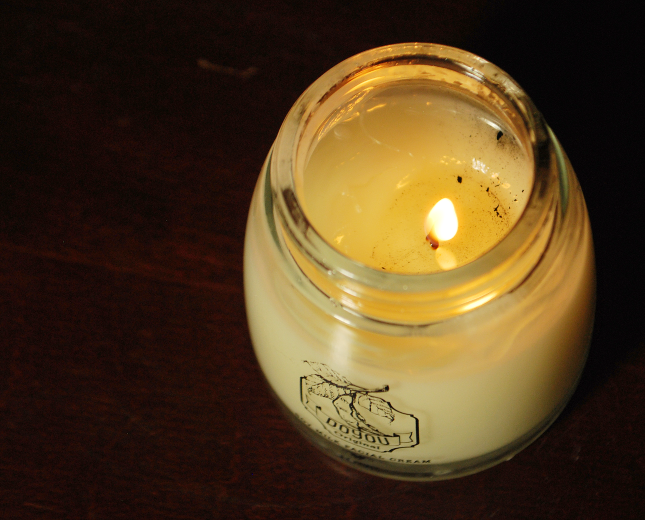 So there you have it- how to make your own soy candle using an empty facial cream jar. I don't know where you can purchase this if you're not in Korea since Memebox currently doesn't carry it, but let's hope that they do one day because this was a really fun DIY kit. 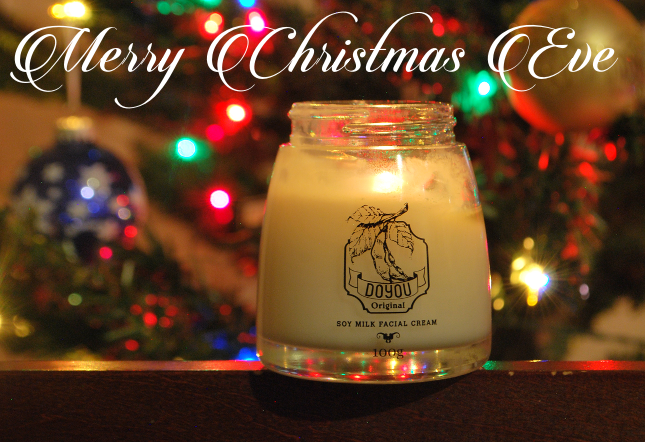 Also it'd be perfect as a Christmas gift to someone, cause y'know, you can never go wrong with a candle- especially if it's one you can make yourself! It's finally Christmas Eve! One more day till Christmas, woohoo! Of course not that I'm doing anything special that day... (other than staying at home and lazying around ahaha OTL). 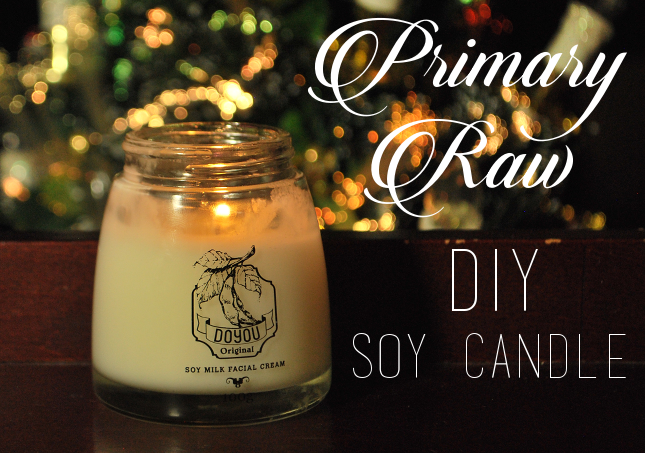 Would you be interested in a DIY Soy Candle?